Mr. Levine has been practicing criminal law for over thirty-five years. He received a Bachelor of Science degree from Columbia University in 1966 and his law degree from the University of California at Berkeley in 1974, where he was an associate editor of the California Law Review. After starting his career as a prosecutor for the City of Los Angeles, Mr. Levine was an Assistant Federal Public Defender in California in the late 1970s and early 1980s, where he received the Outstanding Defender award. From 1982 until 1990, he served as the District of Hawaii's first Federal Public Defender, appointed by the Ninth Circuit Court of Appeals. 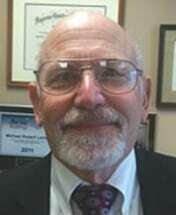 From 1990 to 2002, Mr. Levine practiced as an Assistant Federal Public Defender for the District of Oregon. In 2002, Mr. Levine entered private practice, opening the Law Office of Michael R. Levine. In 2010, he formed his current partnership, Levine & McHenry LLC, with Mr. McHenry. Mr. Levine has argued numerous times before the Ninth Circuit Court of Appeals and has appeared twice before the United States Supreme Court. Mr. Levine is a member of the Oregon, Hawaii, and California State Bars and was named an "Oregon Super Lawyer" from 2006-2014. He is also a member of the Criminal Justice Act Panel, a group of attorneys in private practice that have been selected by the Oregon Federal District Court as qualified to handle federal indigent criminal defense cases. He was chosen by his peers to be included in the publication The Best Lawyers in America for the year 2014. Mr. Levine is also the author of "171 Easy Mitigating Factors" (formerly "88 Easy Departures"), a widely acclaimed publication on successful mitigating factors in federal sentencing hearings from district courts around the country. Click here for information on ordering "171 Easy Mitigating Factors." In addition to his work as a defense lawyer, Mr. Levine has taught Legal Writing at UCLA and Criminal Law at the Richardson School of Law at the University of Hawaii. He is also the former president of the Hawaii Association of Criminal Defense Lawyers, as well as the former State Chair of the Oregon State Bar Disciplinary Board. He has also been a featured speaker at multiple conferences held by the Oregon Criminal Defense Lawyers Association, and has been an adjunct professor at Lewis and Clark Law School.